Motorcycles are designed to be fun and relaxing. They are a recreational form of transportation that can be safely enjoyed when the safety rules are followed. All too often, folks are injured on motorcycles when safety rules are broken. Motorcyclists are frequently hurt when the driver of a car or truck pulls out in front of them or hits them. What would normally be a minor impact in a regular car accident can frequently cause catastrophic injuries to a motorcyclist. Often a motorcyclist will suffer road rash, broken bones, head injuries, brain injuries, or spinal cord injuries in a collision with a car, while the driver of the car remains unharmed.  At Austin Bradley Law Office, we advance the cost of pursuing your motorcycle accident claim and vigorously represent you throughout the entire process. You owe us nothing unless we recover money on your behalf.